1. Skip or cut down on the dishwasher. 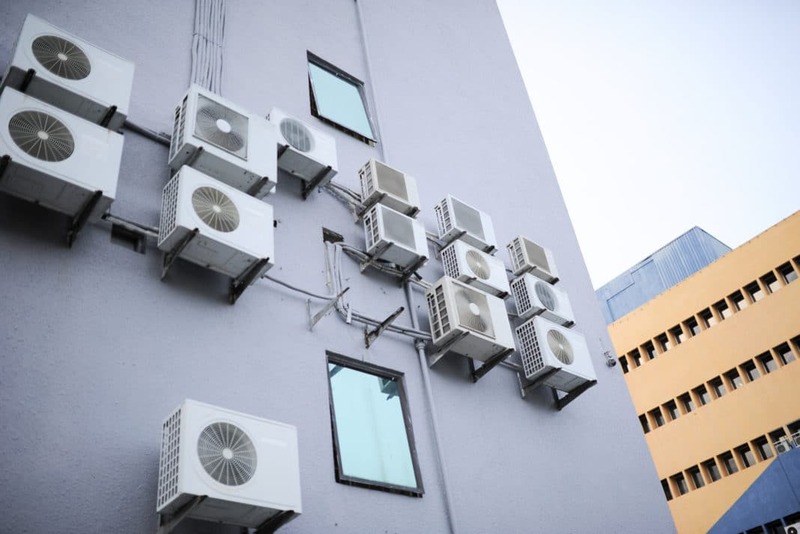 One of the ways to compensate for increased air conditioning use is to cut down on using other appliances. Only use the dishwasher when it is fully loaded with dishes, silverware, pots and pans. Using a half loaded dishwasher is a waste of energy and water. If you only have a few dishes to wash, try doing them by hand. It may seem old fashioned but it can save you money. One thing we always try to do at our house is to wash large pots and pans by hand and never put them in the dishwasher since they take up so much room and it keeps the pots and pans from wearing down for a longer period of time. Most people are unaware that items plugged into an electrical outlet continue to drain electricity when not in use. Unplug your cell phone and digital camera chargers. Turn off all televisions, dvd players, and surround sound systems. The easiest way to do this is by plugging these appliances into a power strip. Just hit the switch and you’re done. Always switch your computer to sleep mode during prolonged absences. Remember, never unplug the fridge, clocks, and essential appliances that you rely on. It may look beautiful and sunny outside, but it may actually be hot and humid. Opening your curtains will not only bring in sunlight, but the outside humidity as well. Don’t make your air conditioner work harder than it already has too. The hotter your home is, the harder your air conditioner has to work to cool your home off. Be sure to close your blinds or curtains whenever you have the air conditioner working extra hard during the really hot times of day. Also, close them when you leave for the day so your home doesn’t get heated up while you’re gone (it’s not like you can enjoy the view or the light when you’re not in your home). 4. Air dry your clothes. If you are really looking to reduce your gas and electric costs, then you should consider air drying your clothes. It may take a lot longer than using your conventional dryer, but there are some advantages to air drying. It saves you money and increases the lifespan of your clothing. Dryers have a tendency to shrink clothing, pull out fibers, and drastically fade the colors. Air drying your clothing will make them last a lot longer. 5. Go for a dip. Are you fortunate enough to have a swimming pool in your backyard? Go for a swim. If not, don’t fret. You can go to your local swim club or fitness center. Swimming is a great family activity and it’s also some of the best exercise you can get while also keeping you cool. Your air conditioner can get a needed break while you are out swimming for a few hours. What are some creative ways that you are trying to keep your utility costs down during the summer? Do you know of any that have worked in the past?